maximum beam width on the lift. We also offer an adjustable tritoon support for boats that require one. 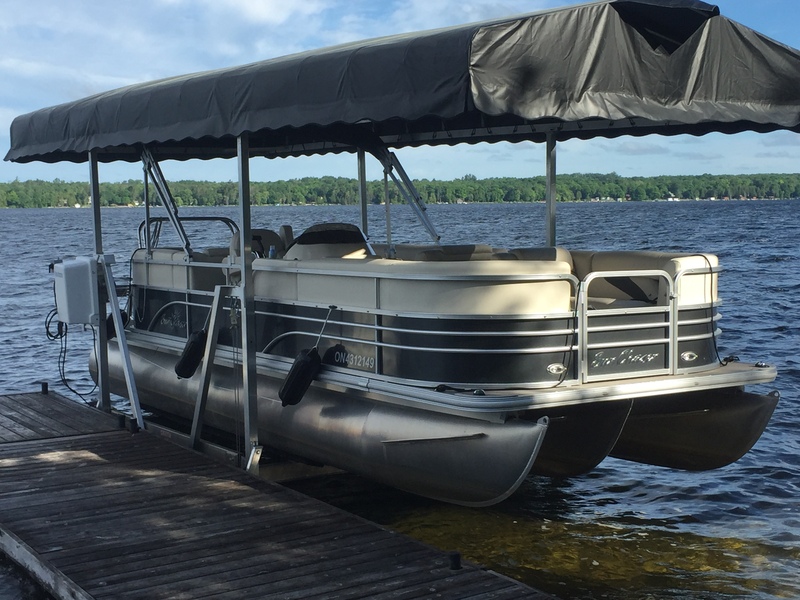 A “V” side on all our lifts makes for easy access to your boat from either side. 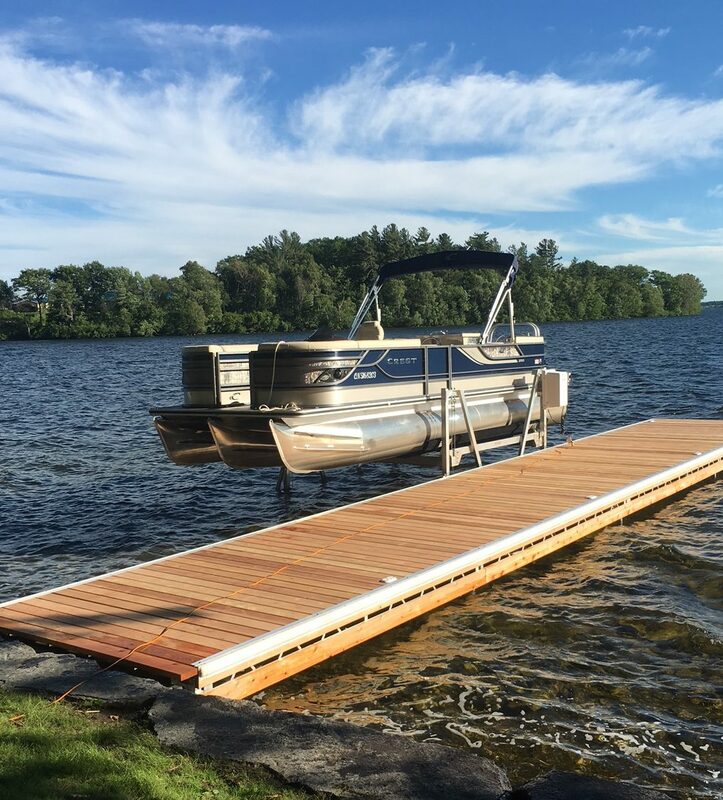 All of our vertical Boat Lifts are ideal where you have a large water fluctuation on a seasonal basis or in an area where you have large waves. All of our vertical lifts feature full length EZ adjust bunks, easy to adjust leveler legs complete with base pads. All of our pulleys feature bronze bushings and greaseable axles. . Either an automatic brake winch or optional electric 120 volt or 12/24 volt winch is included with each lift. 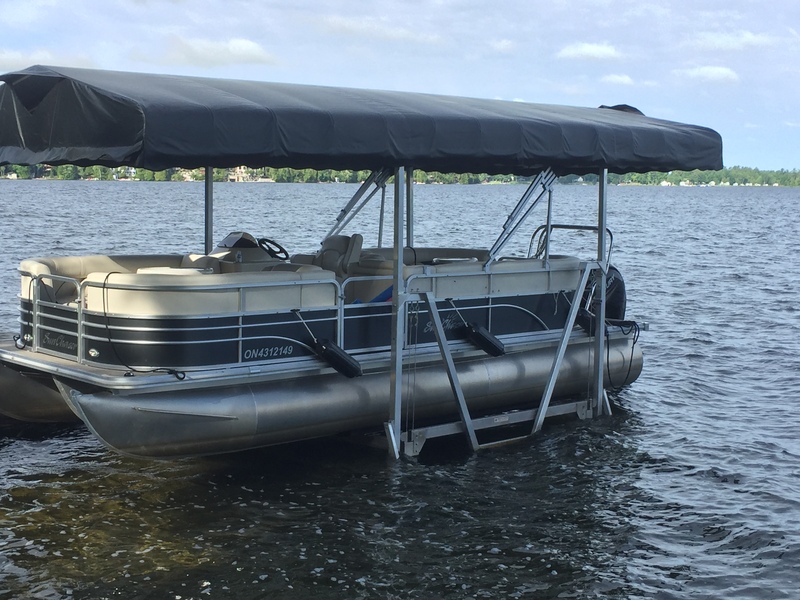 Shallow Water Pontoon Lifts work great in areas of shallow water as they will lift your Pontoon Boat from the stringers of the boat instead of the Pontoons. These lifts are available in 2, 00 lb. to 4,000 lb. capacities and have a lift height of 4′. 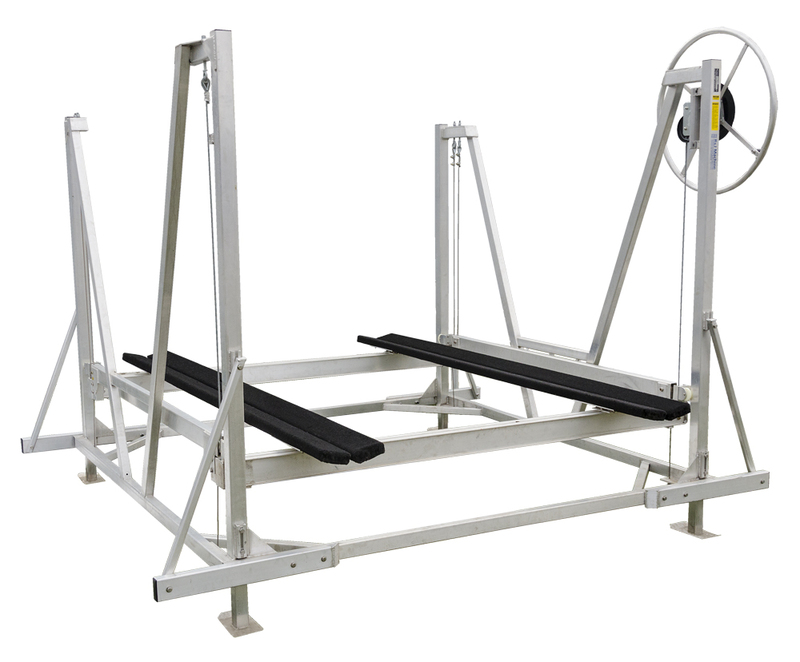 With our easy to adjust leg levelers and foot pads you are able to adjust the height of the lift to give you as much clearance as needed. 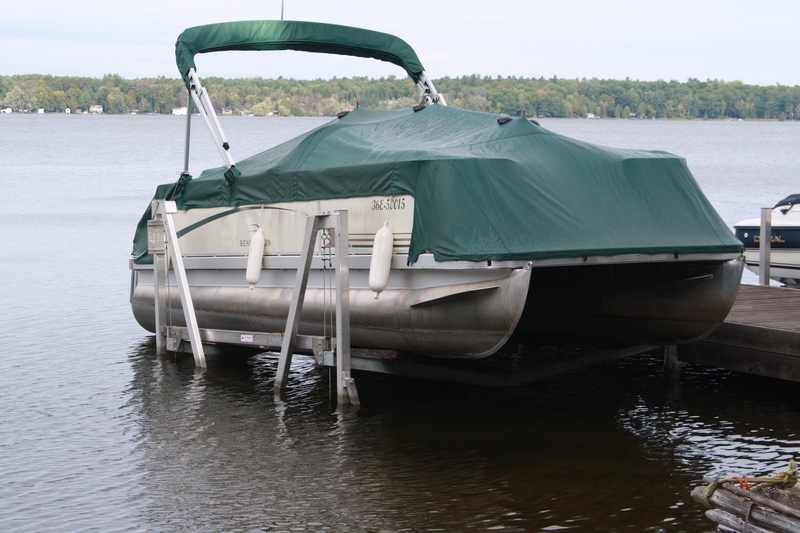 Carpeted pads prevent damage to the bottom of your boat. and the automatic brake winch can be mounted on either side of your lift for easy access. Electric winch upgrade is available . 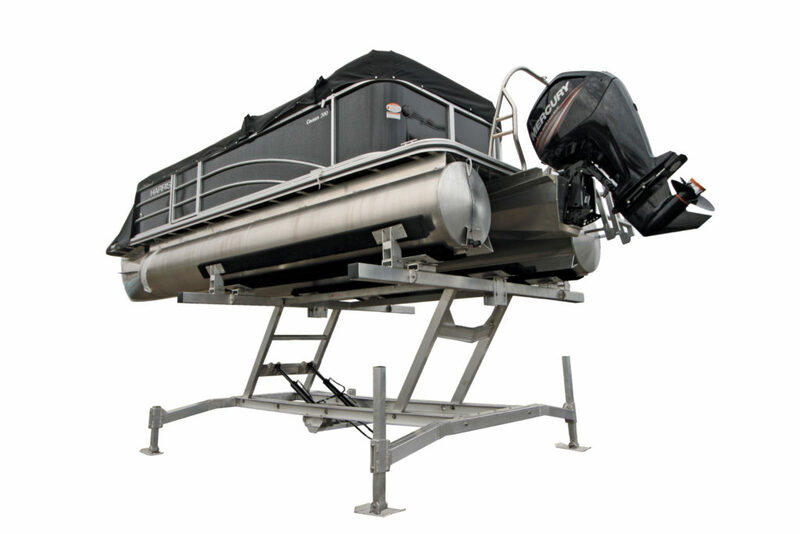 This lift is best suited for Pontoon Boats with only two pontoons. in. Our up and down movement is controlled by a push button remote control. The entire system runs by a 12 volt battery. 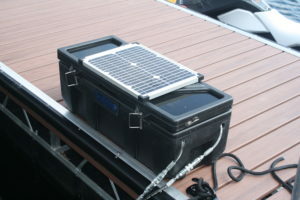 A solar panel on the top of the dock helps to keep your battery charged. The entire system runs by a 12 volt battery. A solar panel on the top of the dock helps to keep your battery charged. Our hydraulic pump and battery unit is contained in an attractive dock box. 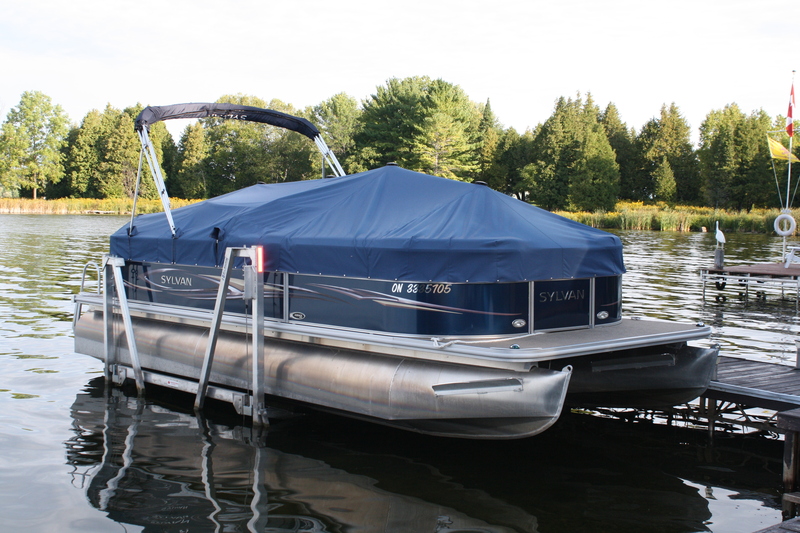 We also manufacture a Wet Slip Boat Lift for Pontoon Boats as well as a Hidden Beam Wet Slip Lift.